John: When you responded to come deeply into your heart, you opened and you knew much more. You responded to the meaning of that. In that response you shifted your values. Instead of value being in your self, which is what you’ve been accustomed to, you shifted as awareness to the points of value in your heart. The points of value in your heart have to do with your being. The points of value in your self have to do with how you experience your self. When you shifted, when you shifted what matters to you, you disempowered the points in your self and you empowered the points in your heart. You shifted your orientation. In that, your self doesn’t function the same way. You experience the lack that is in your self for what it is. You won’t have the same emotional charge about the lack in your self. When you’re at home in your heart, you see your self for what it is. You see it as it is, and it won’t have the same use to you that it had before. The increase of meaning and value in your heart is going to be the decrease of meaning and value in your self. In your self that will feel strange, while in your heart you’re home. The real value of your self is for you to be in your heart in the midst of your self. Your self becomes as you are in your heart. Before, you lived within an inflated self. You shifted and that gave you a filled heart, with your self no longer being inflated. The spin, the emotional spin that you were putting into your self and on your self has decreased and with that there is less color in your self, while in your heart there is a real increase and filling of nurture. That makes your heart more appealing and your self less appealing. Continue in this and your self will become just like your heart. The way that you were in your self before, you performed for others, which makes your heart empty. 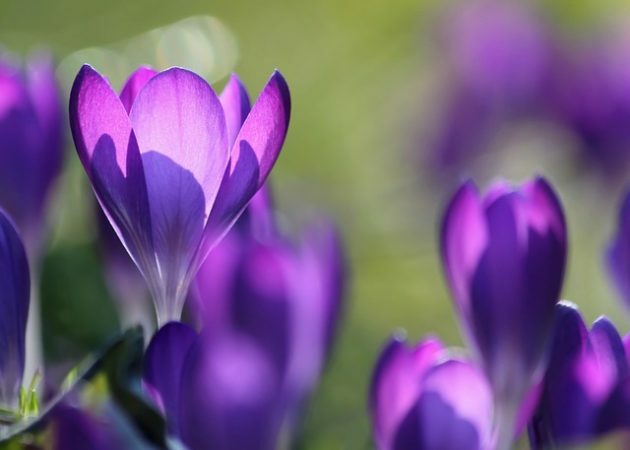 When you are being in your heart, your heart opens to your own beingness. Your heart fills with what is of your own being. In the nurture of that, you have no need to adorn your self, to adorn your self with emotion and personality performance. In that way, your self in being unadorned is at rest. You’re not exploiting your self. You’re not in your self for any kind of effect. You are being in your self in the same way that you are being in your heart. Q: Will fear naturally dissolve? John: When you have fear, that is the part of you as awareness that still has an investment in your self. When you have an investment in your self, you fear the loss of that investment. When you have fear, there is a deposit of power in your self; you have a power investment in your self. Shift that power to your heart. Empower what you know the truth of in your heart. When you are in your heart and believing what you know in your heart, you can’t relate to fear. You don’t relate to fear. When you are in your heart, you love. When you have fear, you still have misplaced belief in your self. Your fear is your belief in your self. Your belief in your self belongs not in your self; it belongs to what you know in your heart. When you fear, that tells you that there is more heart available to you; more heart that you’re not being in. In your self, because your self is not yet like your own being, you relate to gain and loss, but in your heart you relate to your own being. 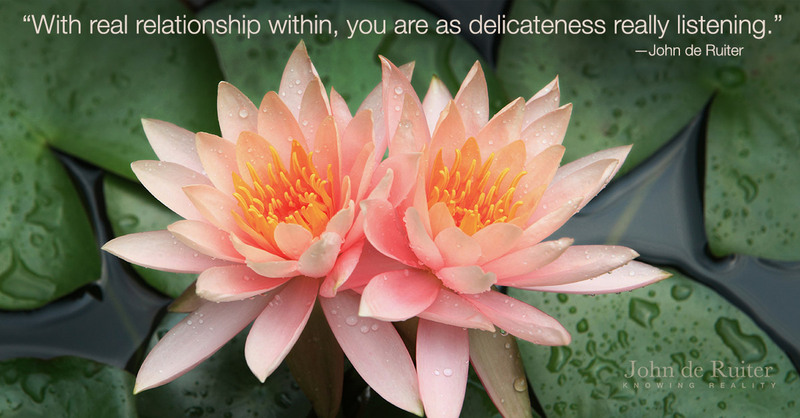 You relate to the beingness that is of your own being. Q: Empowering what I know in my heart…does that just occur through believing and acting on that? John: What belongs in your heart is anything that is of your being. Take to heart anything that is just like your own being. Your self is not like your own being. Your self doesn’t belong in your heart. If you take your self to heart, you make your own heart not like your own being. Sweep your self out of your heart by taking to heart your own delicate beingness. 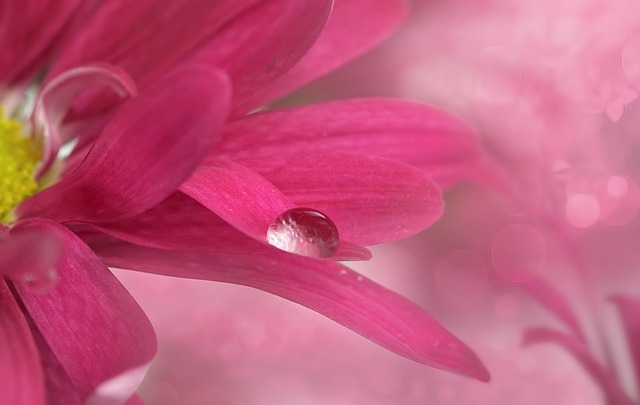 As your heart fills with your own beingness instead of filling with your self, your heart is just like your own being. Then be your being-filled heart in the midst of every aspect of your self. In that way, you will be developing a being-filled-heart self. That will make your self not like how you have known it before. The reference points in your self won’t come from your self. The reference points in your self will be replaced by what you know in your heart. That replacement takes place as you are being what you know in your heart in your self. Your relationship to others will change. You won’t relate to their selves anymore because you’re not relating to yours. When you live relating to what you know in your heart, you’ll be relating also to that in others. Despite what kind of self they have, you will see what is deeper in their heart. If it’s all covered up, you still see it and that’s what you’ll be relating to in them. Instead of empathizing with their experience, your empathy connects with the goodness in them. That empathy reaches into their self without it being for their self. It’s the kind of empathy that draws them into their heart. It is an empathy that connects them to meaning. Some will love you for that; others will react against you. Your treatment of others won’t be determined by your self or theirs. You are free of both, and you love. You won’t fit in this world anymore, but you will fit in the goodness that is in everyone. You’ll have a deeper self and a higher self and your accustomed self will wither away because you don’t give it your belief and your power anymore. Your deeper self and your higher self will close the gap. Your function in this world will be deeper and higher than what this world is. It will no longer be the same as what this world is. 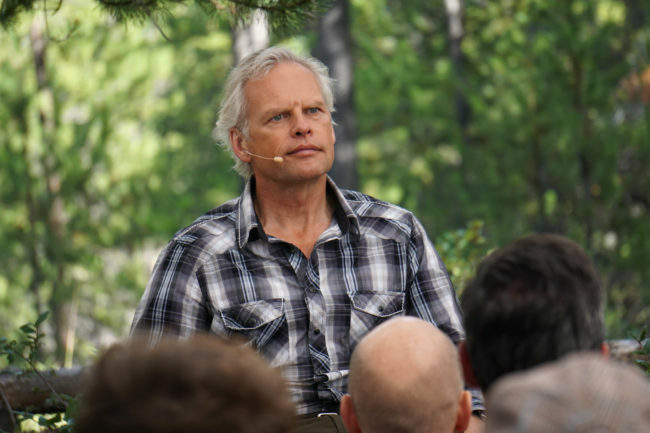 To listen to this meeting click Audio Download 227 – The Unadorned Self at Rest or see all the John de Ruiter Audio Downloads.